Our first Guest Night of 2016 has been confirmed. Our guest will be Jon Brindley! "My fiddle was handed down from my Grandma and I could well play you one or two of my compositions. I was inspired to take it busking all round Europe after reading Laurie Lee. I’ve explored music through many forms. 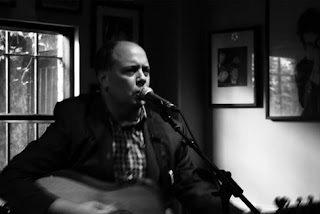 Celtic melodies, blues, contemporary folk, country, rock, popular songs and traditional ballads can all be picked out of my repertoire and it’s usually my own interpretations. Expect the unexpected!" Jon will be playing Swinton Folk Club on Monday 1st February 2016.